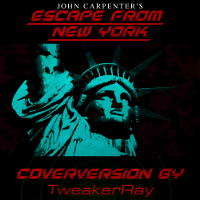 Theme from 'Escape From New York' (Original by John Carpenter). the Master of Horror: John Carpenter. 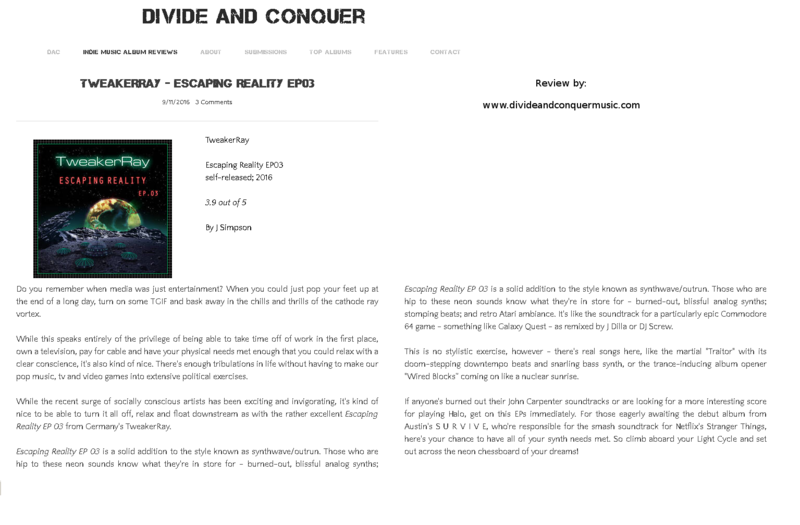 You can check it out at TweakerRay's Bandcamp Page: [ here ]. This is the 2nd John Carpenter Coverversion. Check out the Cover of Ghost Story too. You will find all Coverversions at [ Bandcamp ]. from TweakerRay's latest Album [ RETURN ]. 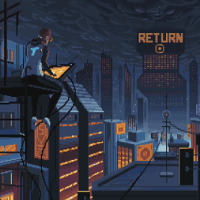 [ Droniverse I ] was the first video with the amazing pixelartwork by [ Kirokaze ]. You can buy the Album RETURN at [ Amazon ] , [ Itunes ] or [ Bandcamp ]. If you enjoy what I do, please consider to buy some music. Thanks for supporting independent musicians. [ TweakerRay @ Spotify ]. TweakerRay is proud to present to you his new album: RETURN. 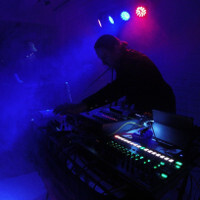 You can enjoy the new tracks at his Bandcamp-profile. It was a long struggle to complete the tracks and most of them went through many itarations. There should be a favorite for everyone. The intro "Droniverse I" might be different to things TweakerRay has done before, but if you might like to let this sink into your ears, you will understand the wide spectrum which this album has to offer. 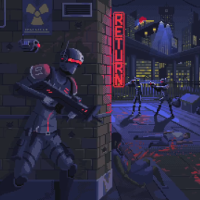 This is not your typical retrowave... Enjoy the ride. TweakerRay has finished a little suprise... It's some kind of experiment. The new instrumental can be found at his Bandcamp-profile. The EP features 6 new electronic tracks. Get your FREE Live DVD: [ TweakerRay & Legoluft Live ]. You can download the Concert DVD for FREE !!! You can also view the concert at [ Youtube ]. 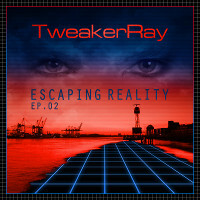 The new EP by TweakerRay: [ Escaping Reality EP 02 ] is online at bandcamp. The release will be soon also available at itunes and amazon. 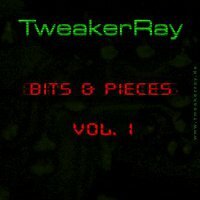 Check out 6 new Tracks at [ tweakerray.bandcamp.com ]. You will also find the latest Single [ Distance ] there. by producer and remixartist TweakerRay. 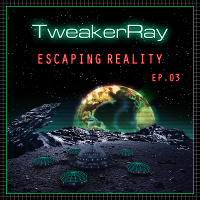 The new EP by TweakerRay: [ Escaping Reality EP 01 ] is online at bandcamp. Check out the 4 new Tracks at [ tweakerray.bandcamp.com ]. 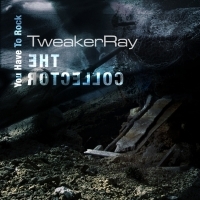 TweakerRay started the year with a new Single called Distance. So get hypnotized and buy the single at [ Bandcamp ] for just 1$. You like to save some more money ? you will get the single for FREE on top. Get the album Limited Edition CD: [ The Collector Chapter 02 ]. Happy Halloween everyone ! 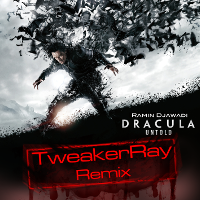 TweakerRay entered the Dracula Untold ReMix Competition. 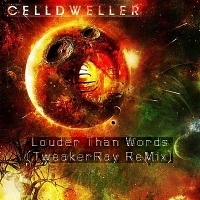 You can check TweakerRay's new ReMix entry at [ Talenthouse ]. 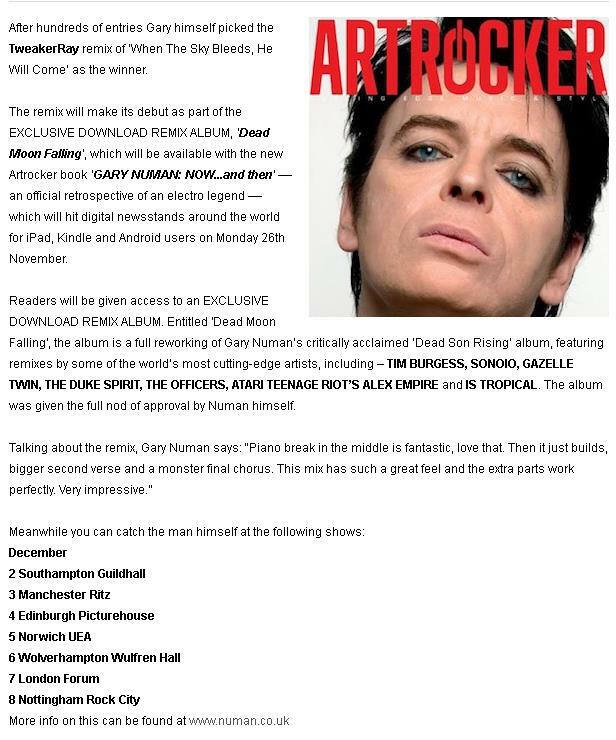 The Voting for this starts at 3rd November and ends 10th November. and VOTE for his remix: [ Dracula Untold (TweakerRay Remix) ]. You can vote via Facebook and Twitter. 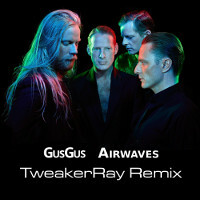 TweakerRay took part in the GusGus Airwaves ReMix Competition at Beatport. You can check TweakerRay's new ReMix entry at [ Beatport ]. Unfortunatly it seems that you can't listen to the remix on IOS Devices. with a [ FREE Account ] at Beatport. With that account you will be able to later vote for his remix. The Score and Audiobook of Wie Ein Schwarzer Spiegel is finally online. You can get the score at [ tweakerray.bandcamp.com ]. The complete audiobook (in german) can be found here [ malawintar.bandcamp.com ]. Get The E-Book at: [ Amazon ]. Here is also a small [ Trailer ]. 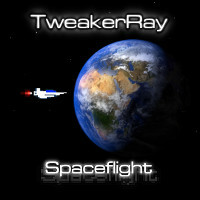 The Space Flight is a new instrumental song by TweakerRay. You can get it at [ Bandcamp ] for FREE . The Video to this song can be watched at my [ Youtube ] - Channel. for FREE at [ Soundcloud ] . This and more music is also available at: [ Bandcamp ]. can be bought now for just 2.99$ at [ Bandcamp ]. Featuring Remixes by: Binary Audio, MSound, Spektralisk, Silicon Avatar, Paul Venkman, Mavid, Jason Mythos, Will Scrits. Once again TweakerRay entered a remixcontest. This time it is filmmusic to be remixed. with ten remix versions of the theme called: Destiny's Door. 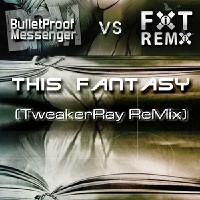 Please support TweakerRay and vote for his remixes. [ Destiny's Door TweakerRay ReMix 1 ] . [ Destiny's Door TweakerRay ReMix 2 ] . [ Destiny's Door TweakerRay ReMix 3 ] . [ Destiny's Door TweakerRay ReMix 4 ] . [ Destiny's Door TweakerRay ReMix 5 ] . [ Destiny's Door TweakerRay ReMix 6 ] . [ Destiny's Door TweakerRay ReMix 7 ] . [ Destiny's Door TweakerRay ReMix 8 ] . [ Destiny's Door TweakerRay ReMix 9 ] . [ Destiny's Door TweakerRay ReMix 10 ] . 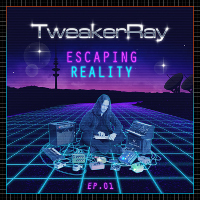 Register for FREE at [ Soundcloud ], and support TweakerRay. Simply connect your Soundcloud - profile and visit the remix links above and click 'VOTE'. Your help is much appreciated. Winners will be announced before the 20th of march. 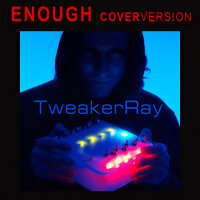 If you can't get enough of TweakerRay: get his full lenght album !!! The Collector Chapter 02 can be purchased at the [ Store ]. TweakerRay wishes you all a peacefull x-mas time and happy new year. A small X-mas gift can be downloaded for FREE at the [ Music ] section. There you will find a new Coverversion of 'Leaving Hope' (Original by Nine Inch Nails). You can preview the Coverversion at [ Youtube ] or at [ Soundcloud ] . This and more music is now also available at: [ Bandcamp ]. I am proud to announce, that my 2nd remix for [ YOAV ] is online now. You can listen to it at [ Youtube ] or at [ Soundcloud ] . And of course you can download it at the [ ReMix-section ] for FREE. More FREE Music can be found at the [ Music ] Section. 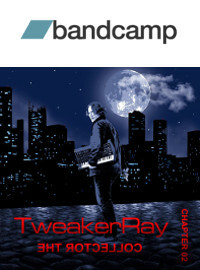 TweakerRay's music is now also available at: Bandcamp. and also: The Collector [ Chapter 02 ]. 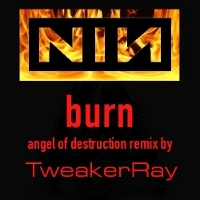 TweakerRay finished the 3nd remix for the How To Destroy Angels ReMix Contest. For 'How Long' click [ here ]. For 'Strings and Attractors' click [ here ]. 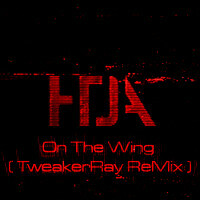 For 'On The Wing' click [ here ]. Please share this with your friends and please VOTE for all three remixes. We hope you will support us in that time and VOTE for all three remixes of TweakerRay. 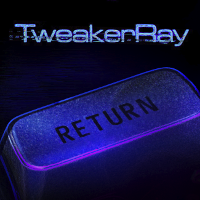 Follow TweakerRay at [ Facebook ] to stay updated. The COLLECTOR - The Game Vol. 1. Download this game for FREE [ here ]. This game includes new music and a Preversion for The Collector (Chapter 03). If you beat all 4 Levels you will get access to a bonuspage, where you get the new tunes. Share this game with your friends and follow TweakerRay at [ Facebook ] to stay updated. 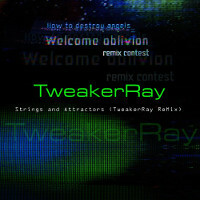 TweakerRay entered the How To Destroy Angels ReMix Contest. 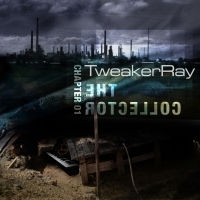 You can listen to the 'Strings and Attractors' ReMix by TweakerRay at [ Indabamusic ]. Please share this with your friends and maybe you like to comment on the remix. is now available at the [ FiXT Store ]. More music of TweakerRay can also be found in that store. Just follow this link: [ www.fixtstore.com/tweakerray ]. TweakerRay made a coverversion of this song and you can download it for FREE !! Additional vocals by Icy Phoenix. The stunning Coverartwork was done by [ Fotonixe ]. Everything you hear was composed from scratch. No original samples were used. You can download this and more songs FOR FREE at the [ Music ] - section. There you will also find some more Coverversions and other Music. Everything else was new composed and remixed in cubase 6.5. WE WISH YOU A GOOD START INTO 2013 !!! STAY TUNED !!! Get my Song You Have To Rock for FREE. This [ Download ] includes also the commentary track and some bonus. 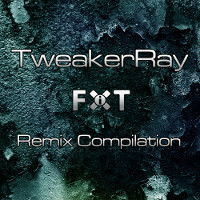 The TweakerRay FiXT ReMix Compilation is now available at the [ FiXT Store ]. Voicians, Bulletproof Messenger and more. Get the compilation [ here ]. 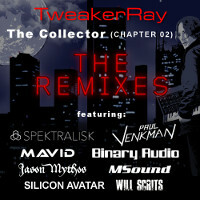 Check out also the new album The Collector (Chapter 02) by TweakerRay. 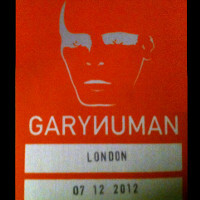 TweakerRay is proud to announce, that he won the [ Gary Numan ] ReMix Contest. [ When The Sky Bleeds, He Will Come ] as the winner. Click [ here ] to read the full article. The Bonussection of The Collector (Chapter 01) is now available to all. and download [ Gone Too Far ] for FREE !!! Click [ here ] to get to the BONUS Section of Chapter 01. Get the ALBUM [ The Collector Chapter 02 ] at the FiXT-Store. will be available at 15.08.2012. Please check this [ Page ] for more infos about the [ Limited Edition Deluxe CD ]. 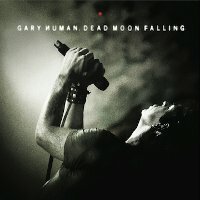 Download the digital deluxe edition at the [ Fixtstore.com ]. available for download at [ Amazon ] and [ Itunes ]. You can download it for FREE in the [ Music ] - section. It's also at [ Youtube]. Twitterquote by Alessandro Cortini: love it! thanks for sending this over! The Video to the Intro to The Collector (Chapter 02) can now be watched at [ Youtube ]. This includes the amazing Vocal performance and Story by: [ The B.S. of D. ] . So Check it out! You will find all videos to The Collector (Chapter 02) at this [ Playlist ]. with a new [ Gary Numa ReMix ]. TweakerRay is still [ working ] on the 2nd Chapter of The Collector. Get the first chapter [ here ]. [ The Collector (Chapter 02) ] will have over 40 minutes of music. with a 12 page booklet. In the meantime you could check out his [ latest remix ] of Blue Stahli at TweakerRay's [ youtube ] - Profile. And don't forget to check out his [ Youtube-Channel ]. More updates also at TweakerRay's [ Facebookpage ]. [ Phantom II ] - TweakerRay's latest experiment is online at the [ Music ] - Section. This song is made just using one freewaresynth. Limited to this , the song gets a unique sound. 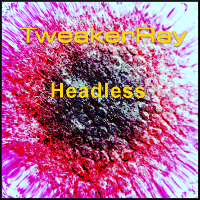 Check it out and donate 0.99$ via paypal if you like to support TweakerRay's music. But you can also just [ download ] the music without that. FREE at the [ Music ] - Section. Also you should check out his [ Youtube-Channel ]. 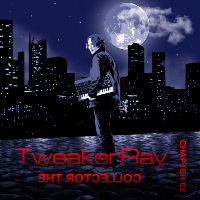 TweakerRay is working on his 2nd EP 'The Collector Chapter 02' - So be sure to follow him on [ Facebookpage ] to get regular updates. 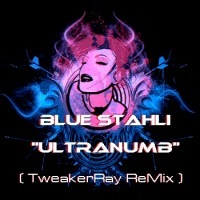 Check out TweakerRay's latest ReMix of Blue Stahli at his [ Youtube ] - Profile. 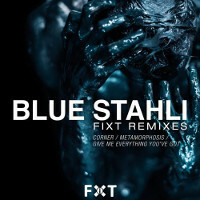 You will find a new ReMix of [ Anti You ReMix ] by Blue Stahli. each day a new FREE Wav. File for one day for you to download. Have a good X-mas time !!! 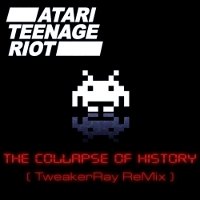 TweakerRay entered the Atari Teenage Riot remix-contest with his ReMix of [ The Collapse Of History ]. Also he did another ReMix for Codes of Ashes. 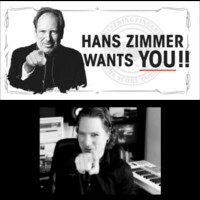 Both ReMixes can be found at his [ Souncloud ] - Profile. Don't forget to check out the [ Youtube ] - Channel and follow TweakerRay at [ Facebook ]. 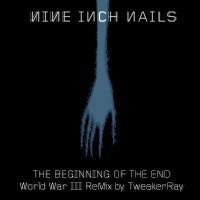 A New Nine Inch Nails ReMix can be found at the [ NIN - ReMix Section ]. TweakerRay made a 2nd Version of 'Burn'. You can download the ReMix as always for FREE, but Donations are always welcome. If you use paypal, feel free to use the 'Donate Button'. All Money will be used for Server-costs or will go straight into my music. Another Celldweller ReMix is finished. Small [ Teaser ] can be found here. on the [ FiXT ReMix Compilation ]. Don't forget to check out all the other [ ReMixes ] here too. Or visit the [ Music ] - section for more FREE Music. with over 20 min audiocommentary, Demoversions & Instrumentals at the [ Fixtstore.com ]. to get access to 4 bonusremixes and remixkits. 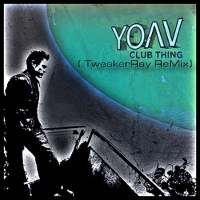 TweakerRay is proud to present you a new ReMix of the fantastic artist [ Yoav ]. The new remix of 'Club Thing' can be downloaded for FREE at the [ ReMix ] - Section. So hop over and check out all the other remixes too. Or visit the [ Music ] - section for more FREE Music. 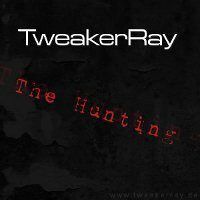 Over 500 Fans on the [ Facebook ] - Profile of TweakerRay. at the [ Other ] - section here on this page. This song is a Pre-version which will also be included on 'The Collector Chapter 02'. So again massive thanks for the support. It's very much appreciated! Spread the word. 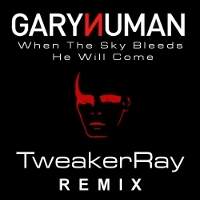 The Winners of the BT-ReMix Contest (which TweakerRay entered) will be announced on June 24th, 2011. Till then enjoy the remix at TweakerRay's [ Soundcloud ] - Profile. TweakerRay produced two ReMixes of the Song 'Metamorphosis by Blue Stahli. 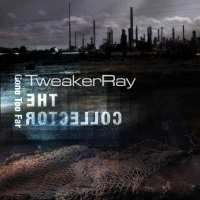 You can take a listen at TweakerRay's [ TweakerRay ReMix Compilation ]. 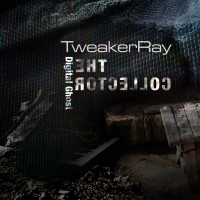 Also you can Enjoy a FREE Download of TweakerRay's ReMix for the Band Soul Chasm - Download it [ here ]. 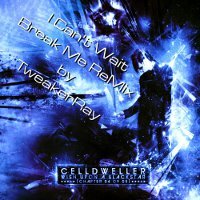 TweakerRay entered at 2 new ReMix-Contests from Indabamusic. The Songs he remixed are from Daft Punk and BT. 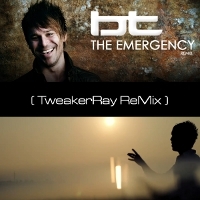 Please help and support TweakerRay with your VOTE for his [ BT ReMix ]. 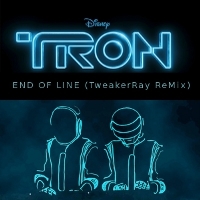 And check out his Daft Punk recreated ReMix of [ End Of Line ]. Please Vote for both ReMixes. Thanks for your Support !!! 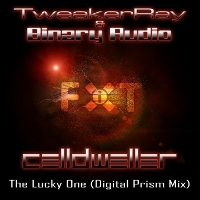 [ Binary Audio ] and TweakerRay made 2nd Place in the Lucky One ReMixcontest! Thanks to all who have rated, voted and helped to get us to the 2nd place !!! Massive Thanks for your support! 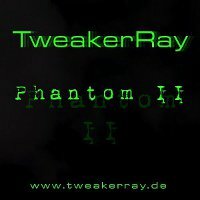 TweakerRay's new FREE Track [ Phantom I ]. You can download this in the [ Other ] - Section. There you will also find more FREE Tracks to download. Enjoy! 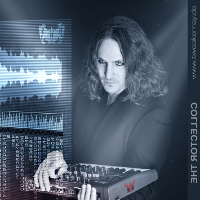 The Voting for the SOLO-Version ReMix-Contest of Celldweller is alive. don't need any registration. Your support is much appreciated. Go [ here ] to vote for the Soloversion-Contest. Also the Voting for the "Collab-Contest" is also alive. So please check this out too. [ Binary Audio ] and I did this remix together (feat. Jane Jarvis on guitar). Please go [ here ] to vote for the Collab-Contest. TweakerRay won 1st Place with his Remix for Blue Stahli. Thanks for the massive support! 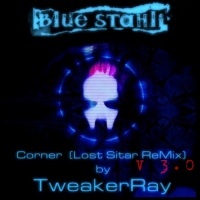 The Corner (Lost Sitar ReMix by TweakerRay) can be found at his youtube profile [ here ]. BUY this song at the [ Fixt Store ]. at the [ Fixtstore.com ]. The new Blue Stahli ReMix of Corner is online. 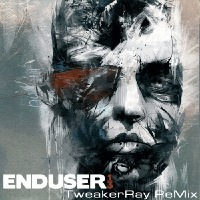 TweakerRay won 2nd Place at the Enduser ReMix Contest. Check it out at [ Youtube ]. Thanks to all who have commented, rated and voted for this remix !!! 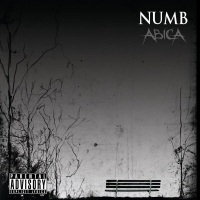 which he composed and produced for the US hip-hop band [ ABiCA ]. or get them at [ Itunes ]. Producer and friend [ Binary Audio ] also composed 4 Songs for the album. The Voting for the Enduser ReMix Contest ends at 4th August. TweakerRay has entered another ReMix contest. This time it is Linkin Park. The Catalyst (ReMix by TweakerRay) can be heared [ here ]. Update: Winners have been announced. It's not my remix. But you can download [ My ReMix ] FOR FREE. You can still listen to the remix at my profile at [ Fixtremix.com ] to compare it also to the Demoversion, which is in that [ Interview ]. 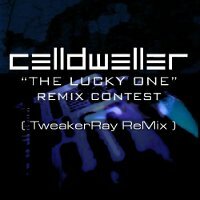 TweakerRay won 1st Place with his Celldweller ReMix of 'The Best It's Gonna get'. comment and vote for this remix! Thanks for all the support !!!! So visit my profile at [ Youtube ] and take a listen to this remix. 1/3 by Enduser - Listen to this one at my profile here at [ Youtube ]. 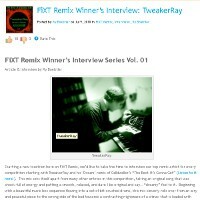 Check out 'The Drowning (TweakerRay ReMix)' at my remixprofile here at [ remix.nin.com ]. The Vote for the Celldweller ReMixcontest of 'The Best It's Gonna get' is open. Please support me and vote for my ReMix. Just go to the [ VOTE ] (and follow the instructions there). Spread the word !!! Tell all your friends... Every single vote helps !!! Thanks for your support ! 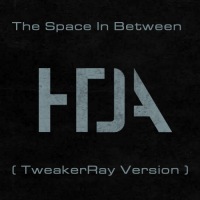 TweakerRay made a ReMix of 'The Space In Between' by How To Destroy Angels. 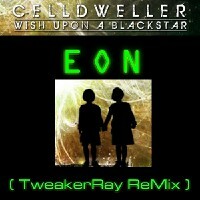 The Vote for the Celldweller ReMixcontest of 'EON' is open. You can support me now. Just go to the [ VOTE ] (and follow the instructions there). Vote is open till 16th may. Spread the word !!! Tell your friends... Every single vote helps !!! Two new ReMixes are online at www.Fixtremix.com. Check out the ReMix of 'This Fantasy' by Bulletproof Messenger at [ here ]. Listen to EON at [ Youtube ]. BUY this song at the [ Fixt Store ]. YEAH ! I won 2nd Place at the Celldweller ReMix contest of 'So Long Sentiment'. Listen to my Version at [ youtube ]. Thanks to everyone who have commented, rated and voted. Check out my profiles like [ Facebook ] or [ Twitter ]. I post things there from time to time... and sometimes the news are faster at that profiles than here. To get all profiles which I use, check out the [ ABOUT ] - section here. Currently I am working on two new remixes for the Band [ Bulletproof Messenger ]. and Check out and follow me at [ www.blip.fm ]. 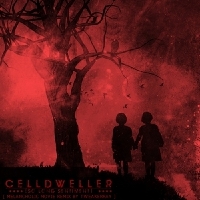 The Vote for the Celldweller ReMixcontest of 'So Long Sentiment' is open. Vote is open till 28th Februar. Spread the word !!!! Every single vote helps !!! Again I got an honorable mention 4th place at the Blue Stahli ReMix Contest. Thanks for all who have voted for my remix. Don't delete your Accounts ! The Song is called [ So Long Sentiment ] and is already online. Take a listen at my [ profile ]. If you have an Account, login at fixtremix.com and rate it with 5 Stars please ! Voting for the Blue Stahli ReMix Contest has started and you can support me now !!! Go to the [ VOTE ] (and follow the instructions there). Voting on the Louder than words Contest has ended and I did't made it to Top 1-3. I got an honorable mention 4th place. The Song is called [ ULTRANumb ] and is already online. Take a listen at my [ profile ]. Hi ! Voting Started, and is not like I hoped that you can Vote for all remixes the same time. So in order to win this. I need your help !!! Step 1 Head over to: [ www.fixtremix.com ]. And register for free. Step 2 You get a Registration-Email. Which you have to confirm to unlock your account. Now Login to your account at [ www.fixtremix.com ]. Step 4 The Star rating is just to say how much you like it. (5 Stars would be best.) More important is your VOTE !!! Its important that you only vote for this Mix: 'Louder than words (TweakerRay ReMix)'.